VoIP and Unified Communications (UC) go hand-in-hand but are very different technologies. VoIP and Unified Communications (UC) go hand-in-hand but are very different technologies. 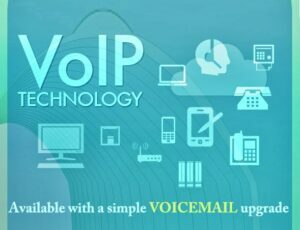 Voice over IP (VoIP) is a platform or service to make and receive calls over the internet. VoIP technology can be incorporated into a PBX system so the phone system itself is inherently compatible with Internet phone service and cloud applications. Unified Communications or UcaaS (Unified Communications as a Service) are applications that are typically powered using VoIP technology. VoIP is relatively simple to establish and provides immediate, quantifiable cost savings benefits. Unified Communications, however, could take longer to establish if your communications system is not natively equipped with this technology. Some systems offer UC applications as part of their standard package, such as the 3CX phone system, where others provide UC applications as add-on features that you can implement individually for an additional cost. UC features will increase efficiency, productivity, and customer satisfaction; however, it may be difficult to gauge ROI from UC features since the benefits deliver intangible cost savings. Depending on the type of PBX system that you plan to deploy, costs for Unified Communications can vary greatly. Most, if not all VoIP cloud-based phone systems offer basic UC applications such as voicemail to email for no extra cost. Advanced Unified Communications applications such as web and video conferencing, chat, voicemail to text, fax to email, smartphone applications and video calling typically include a per-application, per user fee. We recommend contacting ACC Telecom or your current telecom provider to explore your UC and VoIP options. Please keep in mind that while VoIP technology can function without including UC features, typically you cannot implement UC features without having a VoIP solution in place. This entry was posted on Wednesday, June 13th, 2018 at 11:27 am. Both comments and pings are currently closed.